If you’re cruising nearly anywhere in the Caribbean, then there’s a good chance your ship is going to stop in Cozumel. In fact, when it comes to ports outside the United States, Cozumel is the second-most visited in the world, trailing only Nassau in popularity. Each year roughly 3 million cruise passengers make a stop at the Caribbean island. 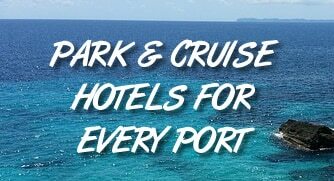 If your cruise is making a call to Cozumel, we have you covered. We’ve rounded up a list of tips to make your trip more enjoyable. Chances are you’ll be using a taxi to get around the island or to get into the main city (San Miguel). These days, taxi rates are flat fees and displayed prominently at all the cruise ports. Confirm the price of your fare on the display before getting into a cab. Even better, take a photo of the taxi fares on your phone or camera so that you can reference them if there is ever a dispute over the rate. You wouldn’t know it by looking at the hotels along the coastline, but the beaches in Mexico are actually open to the public. That doesn’t mean they are easy to access, however. Hotels and business cut off access unless you either pay a fee or approach from farther down the beach. Still, if you access the beach and find a perfect sandy spot in front of a nice hotel, don’t feel out of place. You have every right to be there. We understand if you don’t like the idea of paying to access a free public beach. However, many hotels will allow you access for a small fee (usually $10-30 per person). For that price you get so much more than just a place to put a towel. Resorts charging access typically have cleaner beaches and allow you to use chairs, umbrellas, lockers, and shower facilities as well. It’s a cheap way to spend the day on an idyllic beach. While the cruise ships dock next to the main city on the island, there is so much more to Cozumel. When looking for things to do, check out activities that include sightseeing around the island. It’s a neat way to get away from the crowds and experience the way things were before the area became a tourist mecca. If you are wondering where to exchange your U.S. dollars for Mexican pesos, don’t worry. Dollars are widely accepted in Cozumel. Keep in mind that you might not get the best exchange rate on your purchases, but it’s a small price for the convenience of not having to change your money over. If you would like to pay by credit cards, major brands are also accepted in most places. No hablas español? No problemo. You don’t have to be fluent in Spanish to enjoy the island. With literally millions of American tourists coming to Cozumel each year, those in the tourist industry know English fluently. In fact, you’ll likely be surprised by how little Spanish you hear near the cruise piers and restaurants. But if you do want to try out your Spanish, feel free. The locals appreciate you trying to speak their language.